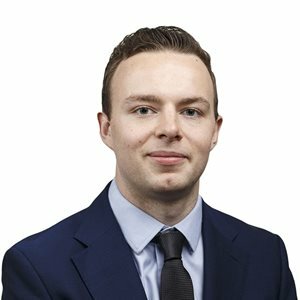 Benjamin Pearson is an associate in Gowling WLG’s Ottawa office, practising in the Intellectual Property Litigation Group. He assists clients with protecting and enforcing their intellectual property rights, with a focus in the areas of patent litigation, trademark litigation and enforcement, and pharmaceutical regulatory law. Ben completed his law degree at the Schulich School of Law at Dalhousie University, where he was an active community member. He served as co-president of the Intellectual Property Law Association of Dalhousie and director for the nation-wide student Law Games, while also taking on pro bono projects for Autism Nova Scotia. During his time at the university, he also participated in an exchange program with the National Law School of India University in Bangalore. Prior to law school, Ben worked in regulatory affairs for Health Canada’s Therapeutic Products Directorate. He also interned at a UK hospital with a focus on thrombolytic therapy. “Under-reporting of adverse drug reactions: the need for an automated reporting system.” Pearson, BR. Interdisciplinary Journal of Health Sciences. May, 2013, 3(1).